This is a short post script on my last blog. Yesterday thanks to the response of my local team to my blog, I was offered a cancellation at the respiratory clinic. No answers as yet which I'm not surprised by as this has been a complex situation but at least I'm in the system at last. I'm writing this to say a warm thank you to the nurse who hugged me as I cried and spoke about how hard a year it's been. I want to say a thank you to the radiographers who were kindness itself when they did a CT scan. And I especially want to thank the consultant who pulled favours and went the extra mile to ensure I was ok. I felt his kindness and concern. And so I return to the theme of the blog. My concern has rarely been about the people. I have seen small kindnesses ( to others and to me) in particular in the Western General Hospital in Edinburgh, it's in the culture from porters to medics there I believe. BUT some of the systems are letting this good hearted team down. And of course they are letting down the very people who need them. I'm hugely appreciative of getting seen yesterday but what about those who can't or won't do that. I wont be content till we get it right for them too. In a week when we lost Kate Granger who did so much to raise awareness of compassion in care lets be reminded that the little things matter as much as the big things and that kindness too is a therapeutic tool. An appointment with the NHS. I’m a health activist and I work as a coach and leadership consultant with a special focus on health and social care. I've been a nurse and health sector charity director and I have done all of this because I'm passionate about having the best health and care possible. This year I've come through treatment for my third diagnosis with breast cancer and my care for that has been outstanding. Excellent clinical care combined with a compassionate team at all levels. But that's not been enough as since my surgery I've been disabled by breathless which isn't related to the cancer or evidently to the surgery. And because of this I'm undiagnosed in a system that doesn't deal with this. Without a diagnosis you are lost in a system that doesn't connect and certainly doesn't see you as a whole person. I've been scanned and tested but still no answers. And all I have are verbal results so I have no ownership of my own information. This is the only part of my life where this happens. Finally a referral to a respiratory clinic was made in May. Well it was mentioned in a letter to my GP and copied to the clinic who didn't trigger a referral as I discovered several weeks later when I called concerned I'd heard nothing. Finally an appointment came in when I called, so I planned a holiday I had had to cancel earlier in the year as I simply wasn't well enough. You see I know now to not dare to change an appointment. I'm self employed, an appointment on a day I'm working is loss of income and loss of trust in my reliability. But that counts for nothing in the appointments system. I knew to my cost this already when I changed a CT appointment and got a delay of another 6 weeks. I'm awaiting another CT as there was an issue that needs monitored and have tried to avert a problem of it arriving when I'm committed to something else, but that couldn't be done in advance I was told. So instead I have to wait and risk a delay all over again because I'm not expected to have a life beyond appointments. So this week as I get excited about my holiday an appointment change arrives for the respiratory clinic and its when I'm holiday. I call up to explain and say I want the one I had, but that was cancelled as the consultant is off. With 10 days notice apparently. Now call me psychic but I'm suspecting its holidays. When I ran clinics as a nurse I had to book my holidays well in advance to avoid this very scenario. Is that so difficult here? So the first next appointment was the end of August on a day I have a full team event. I can't do it I said and was told in that case I had to go back in the system. My NO contained all my frustration and anger at this unnecessary treatment. Finally I got one the next day at the very end of August and an offer of a complaint form. I was also told my unhappiness would be noted so I await my appointment with a consultant already on the defensive. That bodes well doesn't it? So I'm breathless since January and have an appointment for late August to find out the cause. Frankly this isn't good enough. And part of the cause of this is an appointment system that is inflexible and completely not person-centred. And the appointment staff who on have been at best inflexible and at worst unpleasant. I know the clinic is busy but this behaviour is avoidable. There are many ways to reorganise appointment systems to make them more person-centred. And also if we are espousing a partnership approach, why don't I have my copies of all my results? I know I probably should have got pushier earlier but I didn't because I haven't been well enough. I needed my limited energy for more life enhancing things. And that will be the case for so many in this circumstance. So hereare some links for those who are accountable for improving care.The evidence that this can be better; it can be improved with the will to do it. Cornfields; Ayrshire a poem inspired by a painting by Barbara Rae on exhibit in the City Art Gallery Edinburgh. Thanks to Helen Boden for the stimulus and encouragement. no net for us they cry. This blog is a sort of confession, I'm a wee bit addicted to politics. I have grown up with a belief that democratic politics is a force to enable all of us to have a voice and even when I have at times lost faith I have still been drawn to the possibility of something better. So this last two weeks have tipped me into a horrible crisis of addiction to news and social media. I have read everything I can to make sense of what has transpired in the UK since voting narrowly for leaving the EU. I have looked under every stone for a glimmer of hope of something better emerging. Now I'm Scottish so that glimmer of hope for me has been our First Minister who has shown a compassionate and strategic leadership that is outstanding and yes reassuring too. But Westminster politics has left me breathless- literally! I will admit to a temptation ( ok I've given in to it at times) to kick back in the chair, open up the popcorn and marvel at the Machiavellian drama. But mostly I'm sickened by it. It's that behaviour which has led to this situation and it seems the answer to our awful situation is to behave even worse. I'm sure there are those who mean well within the parties embroiled in internal warfare but those they have collectively let down are looking on in horror and fear. The roots of this decision to leave Europe go back decades; decades where a whole swathe of our population in the UK has been ignored at best, sacrificed at worst. This they believed was their opportunity to have their voice listened to and they took it. But is anyone listening to it? Not the so-called leaders of the “leave” campaign who have retreated into the cess pit of their own creation; leaving the rest of us looking on with something akin to despair and most certainly with disbelief. I can’t be alone in feeling overwhelmed. And now the Chilcott Inquiry report delivers its verdict and my head is finally in my hands. I’ve tried to find ways to communicate my feelings but frankly I can’t find the words. No words are enough and anyway it’s a visceral loss; a grieving for a different time when the needs of people not neoliberal ideology shaped our decisions and for a time when the political elite in Westminster earned our respect and support. “We are the grandchildren and the great grandchildren of the thousands who came from Ireland to work in our shipyards and in our factories. We are the 80,000 Polish people, the 8,000 Lithuanians, the 7,000 each from France, Spain, Germany, Italy and Latvia. We are among the many from countries beyond our shores that we are so privileged to have living here amongst us. “We are the more than half a million people born in England, Wales and Northern Ireland who have chosen to live here in Scotland. We are the thousands of European students studying at our universities and our colleges. We are the doctors and nurses from all across our continent and beyond who care for us daily in our National Health Service. It’s tempting to resort to blame and anger at this time and I absolutely understand the impulse. But these are emotions that are not only destructive to the individual over time; they are destructive to reflection and learning; they are destructive within communities and they do not move things forward. Indeed the risk is that they leave us compounding the issues. I have found myself revisiting this quote this last couple of weeks. And I share it with you now. In particular it reminds me that if we want to see a more compassionate world then we need to reach out with compassion and not judgement. 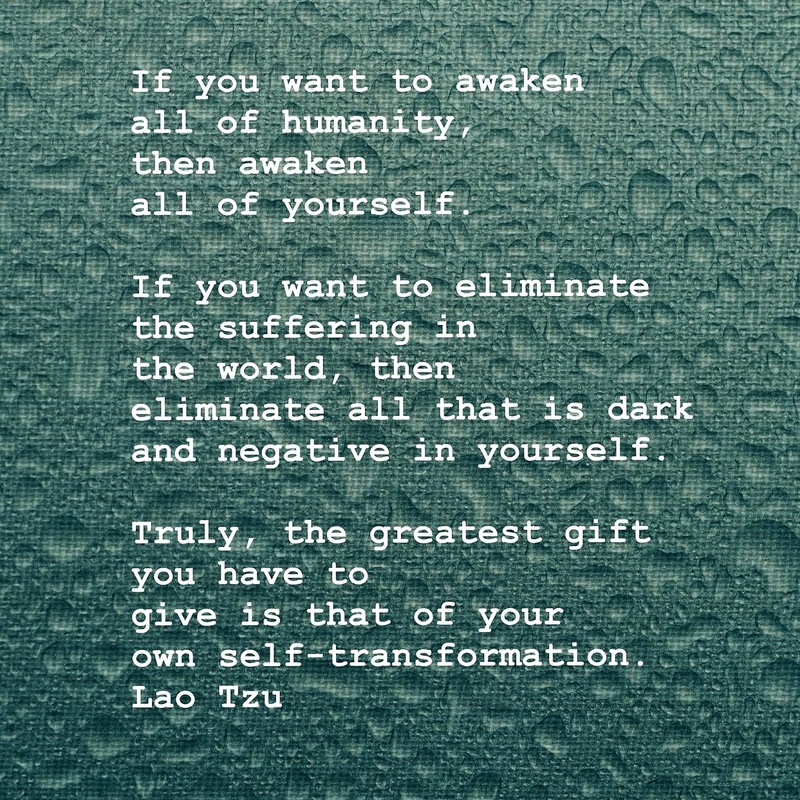 The truly disruptive and transformative work we can do just now is to show compassion and consider as we do realign ourselves to transform things for the better; as Lao Tzu also said the best fighter is not angry.